This popular Pine Spring plan has decorative upgrades that enhance the home! The foyer leads into the generously-sized family room and dining area with stunning hardwood floors. Adjacent to the family room, the charming study or den provides additional living space. The huge kitchen offers granite counters, stainless appliances, 5-burner gas range and gas oven, breakfast bar, and a handy eat-in kitchen dining area. The master suite boasts triple windows, dual sinks, granite counters, large shower, medicine chest and walk-in closet. Decorative guest bedroom and bath are split from the master. 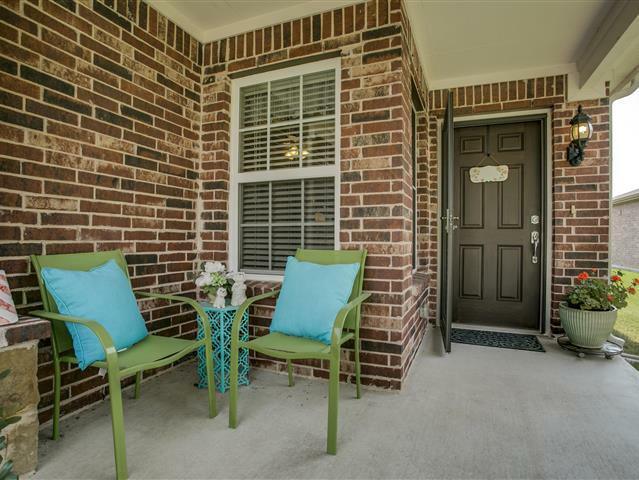 A trellis provides additional privacy on the patio, & a totally fenced backyard is adorned with lovely landscaping.